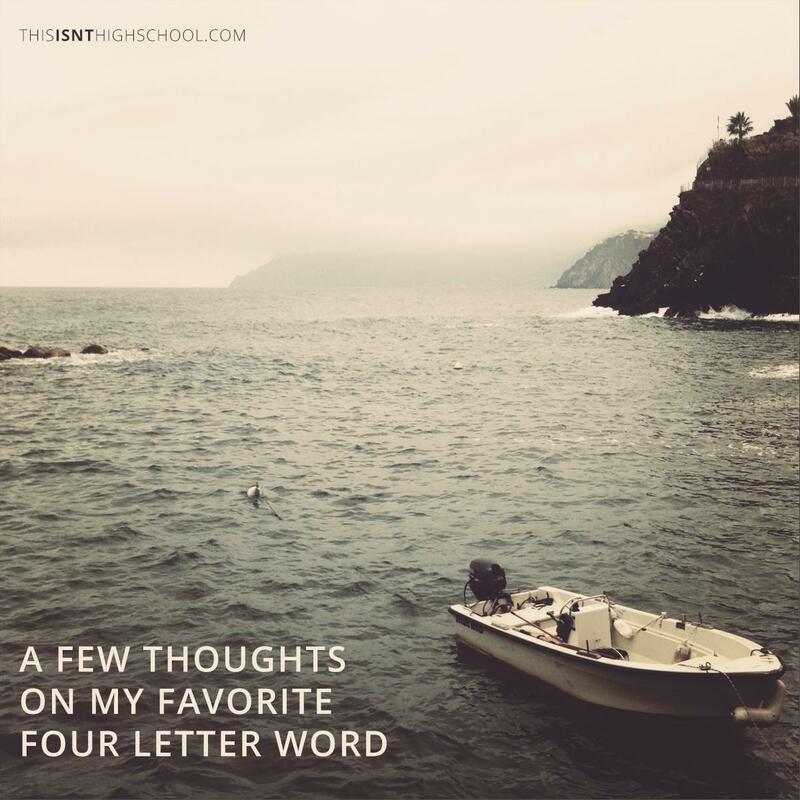 Everyone has a favorite four letter word. You may not say your word as often as other people say theirs, but deep down, you love your word. My word has changed over the years. Whenever I wanted something, especially from my grandma, I’d say, “Meemaw, I wish I had ______.” She saw right through it but she was an awesome grandma and would grant the wish more often than not. As I got older, my favorite four letter word switched to a different word. A word I can’t say on the internet. In fact, I wouldn’t even allow myself to say my favorite word for years. Once I said it once, it seemed to pop up in every other sentence. It was that great of a word. Recently though, I found a new favorite four letter word. I’d always heard this word but never interacted with it. It wasn’t until I needed it that I even appreciated it. I first recognized the need for something – anything really – while eating Mexican food with my wife. At the time, work was all sorts of a mess and I could feel myself slipping back into old tendencies. I told Nicole that night how I felt the first onsets of depression creeping back in. I told her how much falling back to that place scared me. That night I remember opening up and telling God everything I was feeling. I begged him for something to hold on to. I didn’t need him to help me get rid of all the problems over night. All I needed was something to cling to when I felt those feelings knocking at the door. A few months later I received my first ever freelance design job. It was for a startup coffee company named Spero Coffee. As I began talking with the owners and hearing the story, I learned more about the name. Spero is an Italian word. Since that project, hope has grown into not only my favorite four letter word, but also the promise I cling to whenever things get crazy. Without hope, I never could’ve left my job to start a business out of the blue. Without hope, I couldn’t face the daily roller coaster of marriage and parenting. Without hope, I’d be a wreck. There’s a reason the Bible says hope is an anchor for our soul. It’s not so it can hold us down or keep us from going anywhere. It’s so we can be safe and secure when everything around us is going crazy. This week, my desire for you is to know there’s hope. No matter how out of control is seems. No matter how much you’re drowning. I’m glad I read this!